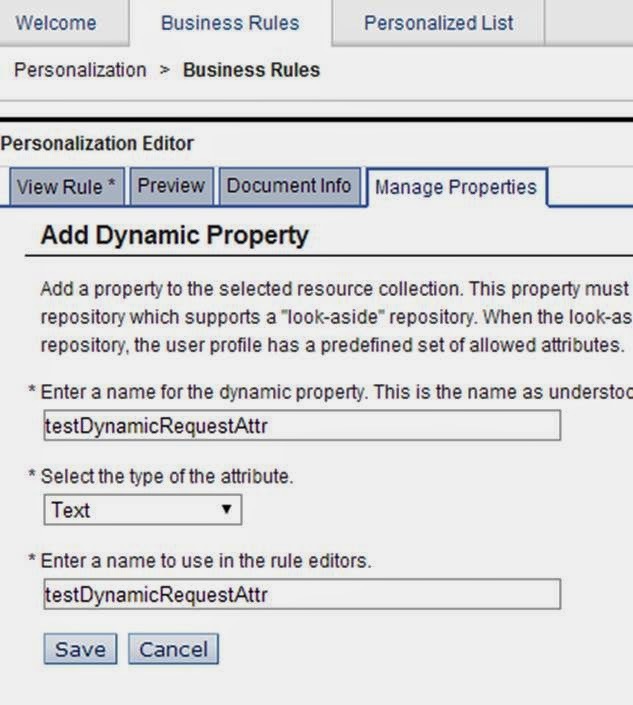 Build and deployment of all portal artifacts can be automated using scripts, but recently we had small issue with automation of personalization rule that uses dynamic attribute (request) . I couldn't find sample xml (/PortalServer/doc/xml-samples/) or .nodes file to automate the creation of dynamic attribute (And also there no option to export from PZN Editor portlet) . I couldn't find anything related to this on the infocenter also so thought post this here and this can be help if anybody looking on same lines. 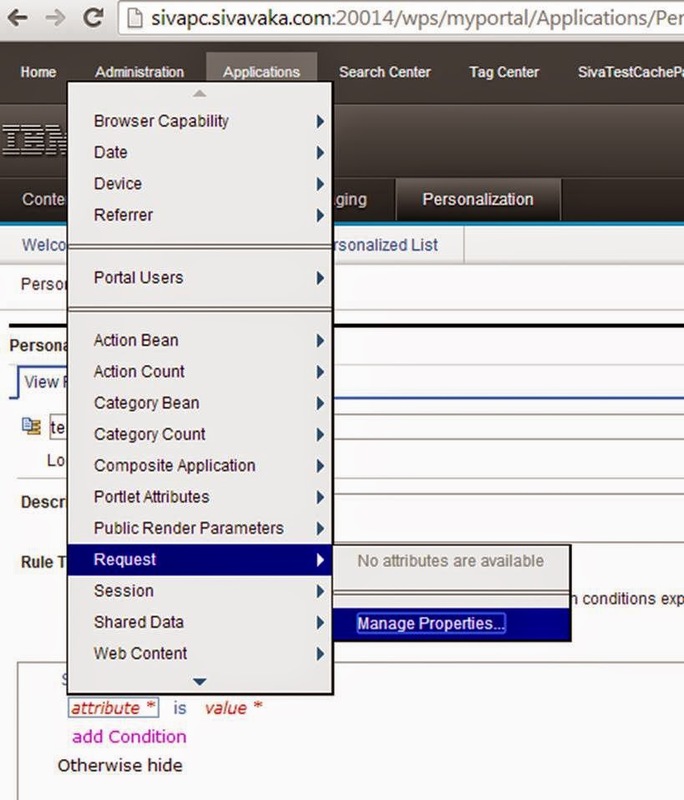 Enter the name of the dynamic attribute and select type. 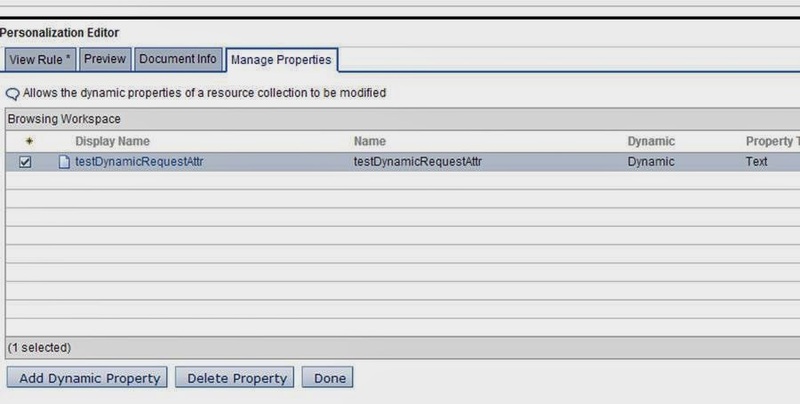 you can select the dynamic attribute once it is created, but here there is no option to export/import this dynamic attribute. After doing some research, was able to create below xml(saved it as .nodes file) that allowed me to create/import the dynamic attribute. I think you can try same for other objects also ( aoWcmWebContent , aoRenderParameter… etc) but I didn't try remaining. This is random number (internal reference id) , if you want create multiple dynamic attributes have this different for each dynamic attribute. Now you can automate this by using PZNLoad (or manually import this .nodes file on different installations from PZN Editor portlet). NOTE : Tested on WP8.0.0.1 / WP 8.0 and WP 7.0 versions and working fine.